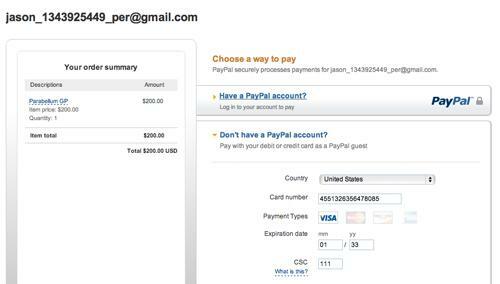 You can now use your own Paypal account to collect payments for your event, managed by RiderHQ. The main reason for doing this is if you already have a Paypal account, or if you are an international customer who wants to receive payments in multiple currencies. You can accept payments in any currency your Paypal account is denominated in. It also may work out cheaper (we charge a flat fee per registration) see our pricing page (the 'Lite' option) for details. On the downside this may appear less professional to your entrants and you lose the features that we provide via our built-in payment gateway, for example you will have to manage refunds manually via your Paypal account and your entrants won't be able to store their credit card details or use one-click payment. Since registration payments are made straight to your Paypal account by your entrants, we operate a pre-pay scheme for you to pay RiderHQ fees - you 'add credit' to your RiderHQ account in advance, to cover your registrations. For instance if you want to accept 100 entries, you might add 100 entries worth of credit (you can also redeem this if you find you don't need it, subject to a small admin fee). We will take care of collecting entry form details, checking entrants have paid, we will handle Twitter integration, emailing and all the other things we do - you can still view all your entrants (paid online, added manually) in one place, and should you want to run some events with our built in gateway and some with your own, you can do that too. We will add more gateways in the future (e.g. 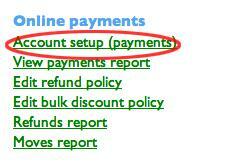 Google Checkout, Sage) let us know if you need support for a new one.